Note #1 is the coral one in the middle of the mirror and it says, “How do you get that dewey glow?”. 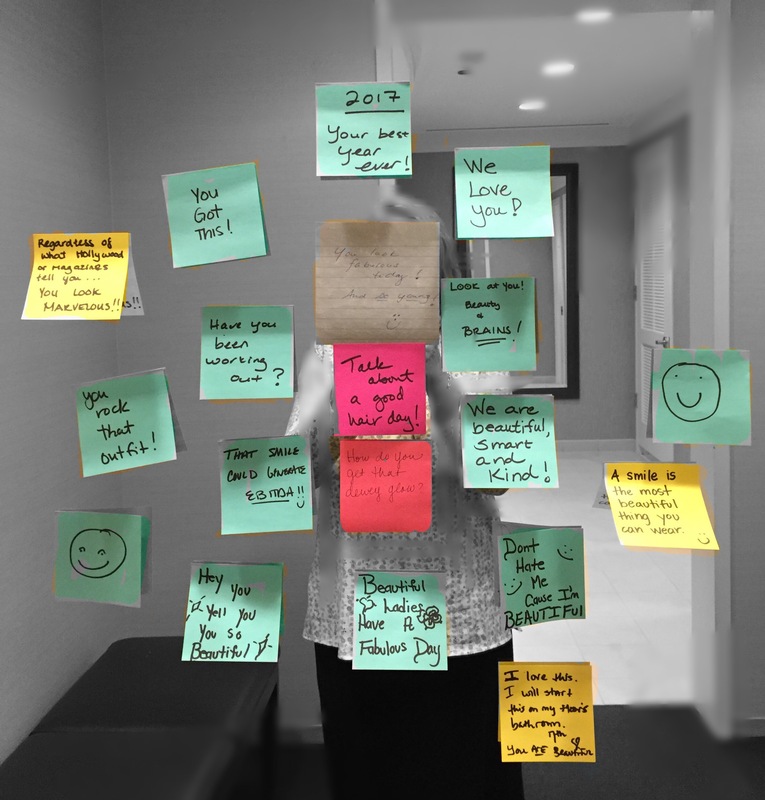 A couple of days later there appeared a second post, then another, and over the holidays a pad of sticky notes and Sharpie pen were left on the counter and the wall of nice words blossomed. Given my past job experiences where there were trails of blood on the carpets from the knives that had been stuck in my back, this feels like a pretty warm and cozy place. Almost the antithesis of the land of Mean Girls that I previously inhabited. We need more of this. Supportive without attacking an individual or group … just nice words. How would this go over in your work place? I’m going to try this! thanks for a great post!